The idea of building a specialized online shop crossed my mind when my own mother was diagnosed with breast cancer in 2007. I was so upset by her discomfort and the difficulty she went through in finding care products and beauty advice to help her maintain her appearance that a strong conviction grew inside me – the need to make life easier for men and women weakened and so terribly affected by their illness. My objective was clear: to provide, in a discreet manner, all the products and accessories needed to bring comfort and relief and everything necessary to get through this illness and live life to the full! We have brought everything together to help you, relax you and encourage you…. Because the internet conquers isolation and makes contact easier, we have decided to give you the opportunity to speak out. Personal stories, encounters with former patients, opinions on products, your thoughts on our blog posts and/or our forum – we have provided a platform for you to share your experiences. So please don not be shy – join in our discussions! With your intimacy and comfort in mind, our main aim is to help you see your body in a different light. With a touch of femininity and a drop of super softness Comptoir de Vie aims to lighten your life! This website is aimed at everyone who has been affected by or has conquered this illness and who must now manage life after cancer – by promoting hair regrowth, cleansing the body of chemo toxins, avoiding recurrence, talking to friends and family about ways to prevent cancer, taking up sport again….This is another step on the way and we want to be there beside you. An idea that has been rewarded several times, in particular by the Palme d’Or. In December 2009 Turban.net was awarded with the Palme d’Or of the national e-commerce awards organized by L’Echangeur PME, Paris Ile de France and the Ciblo interactive agency. These awards go to the 3 best e-commerce projects of the year and Comptoir de Vie was chosen for its humanity, innovation and contribution to society. 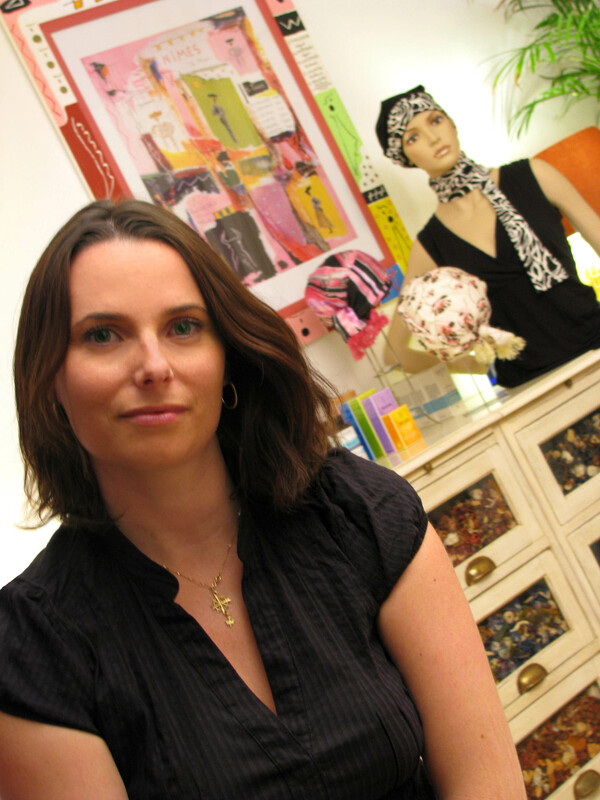 In Februray 2011 Comptoir de Vie was amongst the 3 finalists in the Prix Entrepreneure Responsable competition, organized by European Professional Women's Network France, the biggest organization of professional women and female entrepreneurs in Europe.